Hi everyone! I hope you had a wonderful July 4th holiday. I apologize for being a little MIA this week. I was busy studying for the LEED-ND exam, which I thankfully passed this morning. While I had my head buried in prerequisites and credits, my fellow designer, Garrett Honeycutt wrote a great piece about his experience with a prominent public involvement project funded by HUD in Tampa: Invision Tampa. Enjoy! Tampa recently began a planning process to create a master plan for Tampa’s city center. 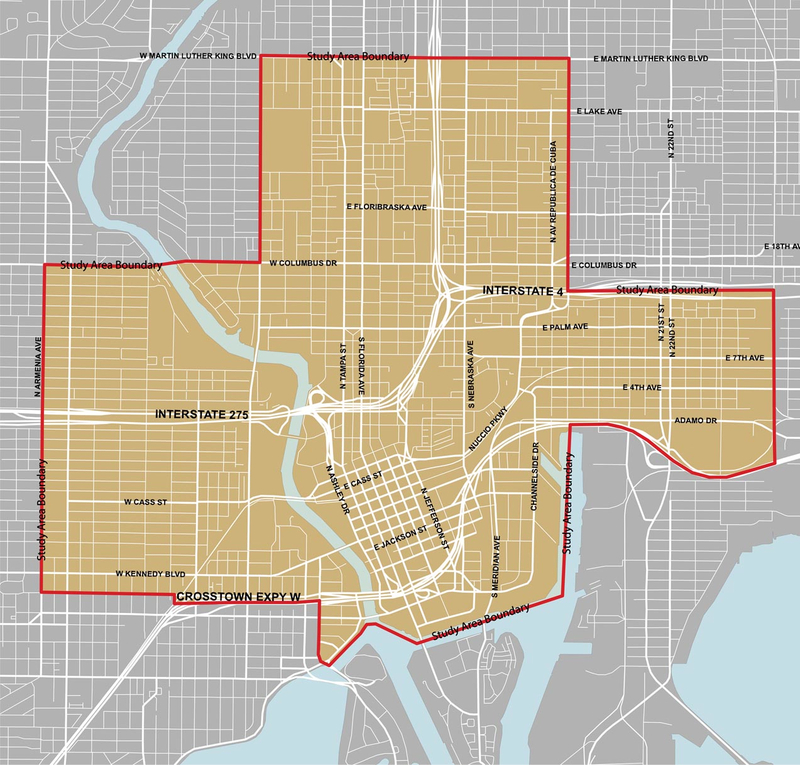 The area in consideration stretches from downtown to Ybor and up Nebraska Avenue. This planning process includes a major public involvement aspect, which allows Tampa’s residents to get involved and share their ideas about how to improve the community. The public involvement process includes public meetings at the convention center, neighborhood walking tours, and two websites—one of which is designed to allow the public to share their own ideas. youinvisiontampa.com, the idea sharing website, was created by a company named Mindmixer whose websites are designed to encourage public participation using a points system based on participation. The points are given to users when another person agrees with their idea, when the user posts an idea, when the user comments on someone else’s idea, and when a user seconds someone else’s idea. So far, JoAnne F1 has had 20 seconds, and 11 comments from other users around Tampa. A lot of the comments are about the idea of creating minimum density zones in and around the city center in order to create high enough densities to support local business and public transportation, as well as encourage redevelopment in surrounding, low density ,neighborhoods. This and the previous idea were just two of the 11 ideas I posted, proving the website to at-the-least, catch my attention. In addition to the websites, the new master plan process reaches out to the community through walking tours. 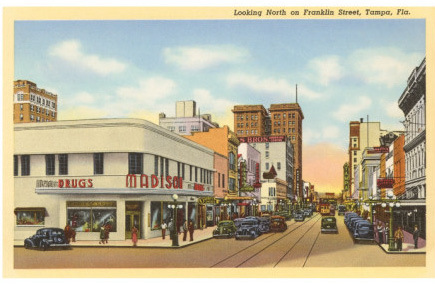 The walking tours were two-in-one public involvement meetings organized around the Tampa Bay area and promoted on the InVision website. The first part being a walk around the area of discussion, and the second being an idea sharing charette about the area in question. These walking tours were created for 8 different neighborhoods around Tampa: Ybor Heights, Tampa Heights, North Downtown, Old West Tampa, the Channel District, North Hyde Park, Historic Ybor, and Seminole Heights. Personally, I attended the Channel District neighborhood walking tour, which proved to be very useful for collecting the public point of view, but not very effective at answering some of the more nitty-gritty questions. What are the limitations of the new master plan? Would it be possible to develop the land directly on the channel even though it is currently privately owned by the ship yard? Could the city give some type of incentive to convince the port it would be more profitable for them to develop the land into housing and retail than it would be to keep it as a ship yard? Questions like these seemed less interesting to the tour guides than questions about the public realm. Perhaps these ideas would be addressed at the final leg of the public involvement aspect of the InVision Tampa master plan, the Knowledge Exchange meetings. The Knowledge Exchange meetings were held at the convention center and were designed to alternate between lectures from AECOM staff and table exercises from the audience. At the Knowledge Exchange on May 30th sitting at a table 15 minutes before the meeting, Pete Sechler, the project manager and a principal at AECOM, asked me what I think should be priority for Tampa’s downtown master plan. So, remembering my experience at the Channel District walking tour, and how developing private lands seemed to be more challenging than some other opportunities for improvement, I suggested that we should determine how difficult each idea would be to implement, in order to help rank priorities. He must have thought that was a good idea because he mentioned it and our conversation when he spoke to the room. He also spoke generally about how the project has been coming along with the website feedback and he talked about the success of the walking tours , then he said how important it was for us to get the word out and come to the next Knowledge Exchange meeting. The other speakers were very interesting and the table exercise were pointed and engaging. So, between the news coverage with Mayor Bob Buckhorn, the two websites, the walking tours and the Knowledge Exchange meetings, I feel the master plan process was very successful in hearing the people’s point of view. In all there were 485 ideas contributed, from the Mindmixer site about how to improve Tampa’s city center, virtually hitting every aspect conceivable. I feel the public involvement process was a big success and the Tampa community should feel their ideas were at least taken note of. However, as successful as the process was, there were some frustrating limitations, almost as if the people in charge could not tell us the truth, the bad news, what usually happens with master plans once all the big ideas the public had become hopeful of achieving are spilled out and left in the hands of whoever. What happens next? Are the people who had high hopes for Tampa achieving big ideas through this master plan just getting their hopes up only to be let down? One of the speakers at the Knowledge Exchange meeting saw Chattanooga Tennessee’s downtown planning process from beginning to end, and he emphasized how much time these things take, it was a common theme in his speech. He saw Chattanooga riverfront development-plan implemented, changed, redesigned and implemented again for over 30 years into what it is today, and again, he said these things take time—information that would have been helpful on the walking tours, and information that should have been emphasized throughout the whole process. So, I guess, if there is any criticism to Tampa’s master planning process so far, it would be that the public should be made more aware and better educated about how these things work and how exactly change happens. The public should not only know where the funding for the master plan came from, but also and more importantly where the future funding will come from in order to make these grand, but equally necessary, changes to Tampa’s city center into realities. The planning staff should be more informed and equipped to answer these tough questions, or if they are capable of answering the tough question they should not be discouraged to share incite with the public. The walking tours should have been more give-and-take, designed to gather public opinion and inform the public about what types of changes are likely to come sooner through the planning process and which changes would take more time, and how much time different ideas usually take, and what kind of ideas may just simply be out of the question. If the intent was to inspire the public without discouraging, or discriminating between ideas, I feel the Mindmixer website did a sufficient job in doing this, and that the walking tours should have been a little more informative. In all, the entire experience was fun and collaborative, but I wish it were a little more informative. 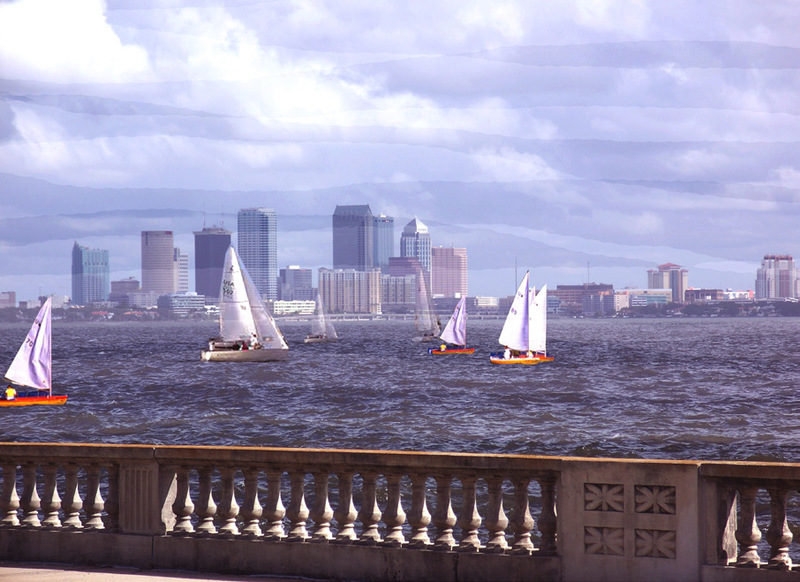 I am hopeful and excited to see where the InVision Tampa master plan takes us from here. Garrett Honeycutt has a Bachelor of Architecture from Florida Atlantic University and works as a designer in the Urban Design and Community Planning Team at Tindale-Oliver & Associates in Tampa. ← Building Smarter Cities…In the Year 2060.